Most people aren’t bothered about milliseconds - you’re average commuter won’t notice if his train is 40, 100 or even 225 milliseconds late. Gamers on the other hand are a little fussier; in the online gaming world milliseconds can be the difference between top dog and mid-table mediocrity. 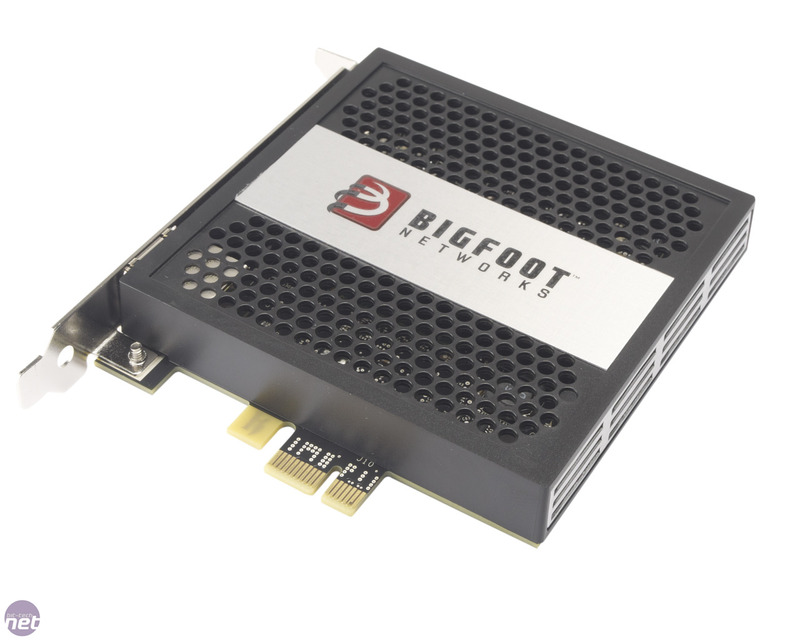 This is what Bigfoot Networks would have you believe anyway, but fear not for help is at hand in the form of their Killer 2100 gaming network card. The Killer 2100 is a revised version of the Killer Xeno Pro which we originally saw from manufacturing partner Golden Arrow. We weren’t massively impressed with the Xeno Pro though, as the card provided little or no benefit when gaming. As a result we were eager to see if Bigfoot’s improvements could provide some tangible benefit from the product. The Killer 2100 works by bypassing the Windows networking stack that any other network controller (including the on-board one of your motherboard) uses. This, Bigfoot claims, allows for lower pings and consistently high frame rates in games as the Windows networking stack isn’t optimised for gaming network traffic. The Killer 2100 does this by essentially being a computer on a card that runs a dedicated Linux install to shuffle data between your computer and your network. To achieve this the Killer 2100 comes armed with a 400MHz Network Processing Unit (NPU) and 128MB of 266MHz DDR memory. 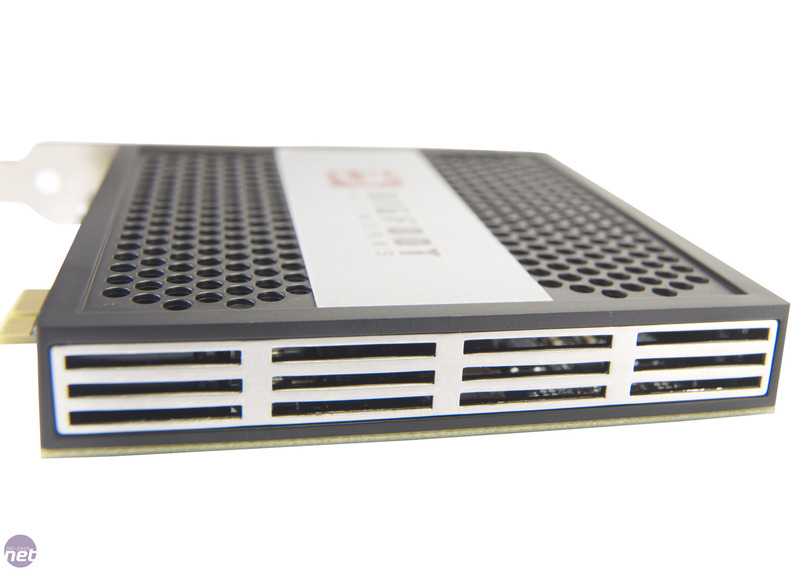 The card connects to your PC through a 1x PCI-E slot and supports 10/100/1000Mbps connections. The Killer 2100 also comes with a black vented shroud that the Xeno Pro lacked. It's a purely cosmetic addition but its feels sturdy and looks attractive. Bigfoot has also overhauled the software the Killer 2100 ships with, which is simple to install and friendly to use. The software allows individual applications to be ranked in order of priority; you can also manually adjust how much of the available bandwidth each application is allowed to use. There's also a comprehensive information panel to which shows things such as CPU usage, NPU load and total network usage. One thing we learnt from our review of the Xeno Pro was how difficult it is to actually test gaming network cards. Latency and ping are generated at every link in the long line of connections between your home PC and the server you're gaming on, so narrowing down the difference that a local network controller makes is extremely difficult. 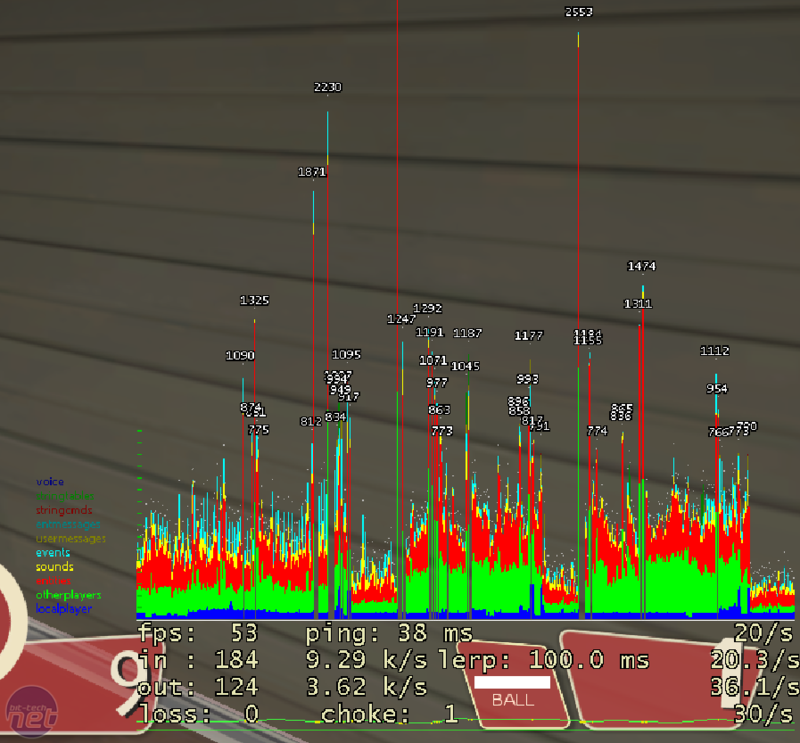 The picture to the right shows the net_graph 3 output from our Team Fortress 2 gaming and it does a good job of illustrating the complex nature of online ping. 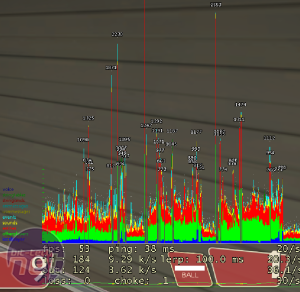 Its shows that the overall latency experienced in a game is a combination of many factors including voice chat protocols, other players and of course the local player (you). Unfortunately for Bigfoot, it also serves to illustrate the small percentage of online latency that the local system contributes, which, in this case, is represented by the dark blue portion of the graph. This makes it challenging to run reliable and repeatable tests but in the end we settled on a number of theoretical tests on a private network complimented by a group of real-world gaming tests. AMD Phenom II X2 550 at 3.7GHz with 4 cores enabled, Asus Crosshair IV Formula with Marvell 8059 Gigabit Ethernet adaptor, 4GB Corsair 1600MHz DDR3, Corsair X128 SSD, ATI Radeon 5870, Netgear Prosafe GS105 gigabit switch. AMD Athlon X2 4600 at 2.7GHz, Asus A8N-SLI Premium with Marvell 88E8001 Gigabit Ethernet adaptor, 2GB 400MHz DDR, Nvidia GeForce GTS 250, 500MB Samsung Spinpoint F3, 10Mb Virgin Media ADSL Internet connection. Bigfoot Networks claims its new wireless gaming card gives you the edge online. Promises to lower your ping and maintain your high frame rates when you're gaming online.